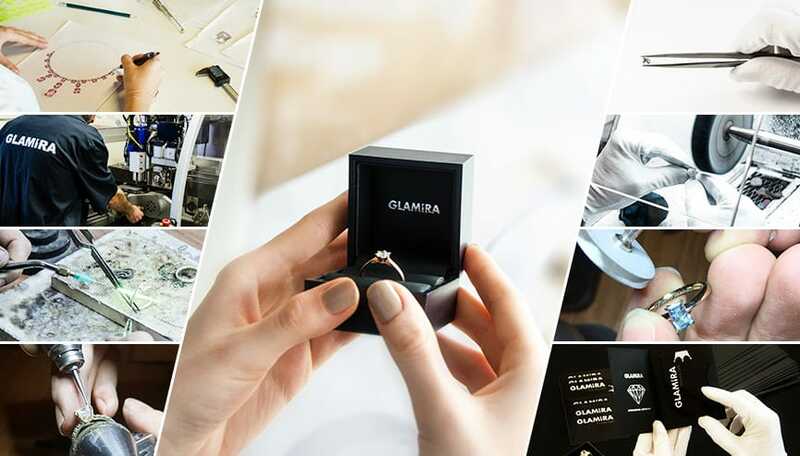 In order to maintain high production capacity and competitiveness, while offering utmost product quality, GLAMIRA holds a large production team consisting of experienced professionals specialised in their fields. The manufacturing facility utilizes a combination of handwork, machine-work and advanced technology to produce the finest jewellery in the world. Due to the complete integration, we produce jewellery of guaranteed purity and finest finish to meet the specific needs of all jewellery lovers and fulfill demand for high-quality products, shorter delivery times and faster product development.